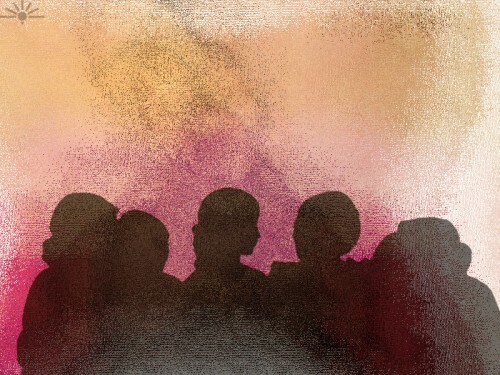 “maroon” by Humphrey King licensed under CC BY 2.0. It seems like there are certain acts of violence that someone is always willing to talk about. Murder for example – there is an abundance of books, songs, films and television shows about just this. Other types of violence are deemed as private issues that are best dealt with behind closed doors. This means that even having experienced a particular act of violence can lead to shame and stigma. Sexual violence and intimate partner violence are two examples that fall into this category. However, there are many activists who are doing amazing work in raising awareness about and destigmatizing these issues. This blog post will primarily focus on intimate partner violence, what it is and how it affects different communities. A few months ago I read an amazing book called The Revolution Starts at Home: Confronting Intimate Violence within Activist Communities. As the title suggests, this is a collection of essays and reflections on intimate violence in feminist, anti-racist, LGBTQ2I, and activist communities. It was an incredibly powerful read and I learned so much about intimate partner violence, allyship, and accountability. The anthology is edited by Chin-In Chen, Jai Dulani and Leah Lakshmi Piepzna-Samarasinha. I was also fortunate enough to attend a talk with Leah during UBC Sexual Assault Awareness Month in January 2015. In this talk, titled Strong Communities Make Police Obsolete Leah talked about the activism that she has been involved with, the importance of self-care, and justice methods that offer an alternative to the police. 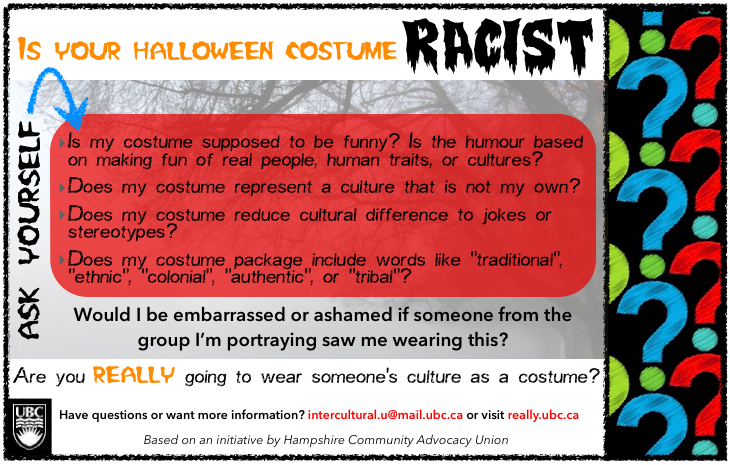 Rule Out Racism is a week-long series of events that focuses on the need for greater literacy and conversation about race and racism within the UBC community in Okanagan and Vancouver. This year’s theme is “this is what anti-racism looks like,” and all events are from March 16-20. There are a wide range of events, from workshops, to panel discussions, to film screenings. This year there will also be an evening featuring art that raises awareness about experiences of racism. Intercultural U is organized by UBC Equity Ambassadors and will have many interesting performers and featuring different types of art. Like all other events that are a part of Rule out Racism it is free to attend and open to everyone. Find out who is performing at Intercultural U and register here. Rule Out Racism week is held in recognition of the United Nations International Day for the Elimination of Racial Discrimination which is observed annually on March 21. See below for a full list of events during Rule Out Racism 2015. Read more about each workshop and register at diversity.ubc.ca. Intercultural Fluency, Diversity, and International Peoples at UBC. Presentation on March 16, 12.30 – 2pm, in Irving K Barber Learning Centre. Let’s Talk About Racism In Residence. Presentation on March 17, 12.30 – 2pm, in Irving K. Barber Learning Centre. When standing in front of the room is not enough: Facilitation skills for difficult conversations. Presentation on March 18, 11 am – 12 pm, in the Food, Nutrition and Health Building. More than Hammer and Nails: Having Difficult Conversations and Building Allyship. Workshop on March 18, 2 – 4 pm, in Buchanan Building Block D.
Addressing Racism: from deer in the headlights to effective engagement. Workshop on March 18, 2 – 4 pm, in Buchanan Building Block D.
Cultural competency in a diverse classroom: Critical analysis and practice. Workshop on March 18, 2 – 4 pm, in Buchanan Building Block D.
Revealing Conversations: an engaging tool for generating safe, meaningful discussions. Workshop on March 18, 2.30 – 3.30, in Buchanan Building Block D.
Intercultural U. Evening of art and awareness on March 19, 6 – 8 pm, Sty-Wet-Tan Hall at the First Nations Longhouse. Register to ensure you get food. Drawing from their own experiences and reflecting upon recent media attention on the topic, faculty will discuss the issues raised when engaging with controversial issues. 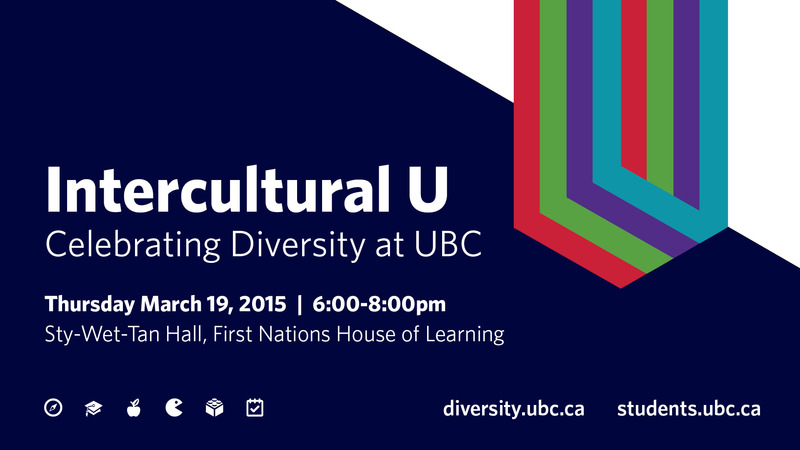 The UBC Equity Ambassadors are hosting the third annual Intercultural U on March 19th from 6-8 pm. This event was created to acknowledge and engage with the International Day for the Elimination of Racial Discrimination. Aiming to go beyond multiculturalism, i.e. different yet co-existing cultures, intercultural understanding focuses on making connections with and increasing our knowledge of each other’s cultures. In previous years, Intercultural U has included pecha kucha, roundtables, and panel discussions. This year we are presenting an evening of art and awareness to promote understanding between the rich varieties of cultures that every student brings to our campus. The event is taking place in the Sty-Wet-Tan Hall in the First Nations Longhouse. By hosting Intercultural U in this space we would like to acknowledge that we are learning, working, and living on the traditional, unceded, and ancestral land of the Musqueam people. We hope that the history and beauty of the Sty-Wet-Tan Hall will help us open up a dialogue that enhances our understanding of how cultures intersect with one and another. Paintings by Yuliya Badayeva, Pius Twumasi, Greta Taxis, Janna Kumi, and Yrenew J. K.
And finally, Participatory Art by U! The Multicultural Women Support Program is restarting on Friday, April 11. The MWSP is for women who are new to Canada and are looking for ways to make new friends and learn about Canadian resources and culture. The program runs for 9 sessions, from 10:00am to 12:00pm at The Old Barn Community Centre. For participants coming from outside UBC, bus tickets are provided as well as child minding. The cost for the whole program is $25. For more information regarding the program and the event, please contact patricia@kitshouse.org. Help create an inclusive campus by taking the Diversity Pledge. The pledge is more than just a demonstration of your respect for others, it is a personal commitment to taking action. Read more about what it means to take the pledge, as well as other students experiences of gender, sexuality, culture and disability. The Intercultural U 2013 Organizing Committee is inviting proposals for presentations related to intercultural understanding. Intercultural U is an exciting, two-part event developed with the support of the UBC Equity Office, Access and Diversity, the Liu Institute for Global Issues, and the Faculty of Graduate Studies. It will offer concurrent panel presentations in the afternoon Colloquium and fast-paced presentations in the PechaKucha format in the evening. In between the two events, we will have an opportunity to talk with each other and share dinner (dinner is provided.) We welcome submissions of academic work, community involvement or personal experiences on topics related to intercultural understanding. Proposals are now being accepted for both the academic colloquium presentations and the PechaKucha presentations. For more information and to submit a proposal, please visit the Call for Proposals page. If you have any questions or would prefer this Call for Proposals in Word format, please contact Anne-Marie Long at am.long@ubc.ca or 604-822-4859.